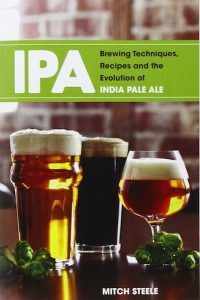 If you are a hop head like me, IPA: Brewing Techniques, Recipes and the Evolution of India Pale Ale is a must read book. The book covers the history of the IPA and follows it through to the present day. This book provides a knowledgeable overview of the different variations and types of IPAs in todays craft beer and homebrew movements, and their associated challenges and disparities. IPA ingredients are covered in-depth in both description and usage. That information then lends itself to the final section of the book that provides 48 different IPA recipes. The recipes don’t give amounts, instead it gives percentages requiring you to use the previous section to adapt the recipes to you homebrew system and efficiencies.